DOT Undersecretary Kat De Castro explains why Bruno Mars won’t be at the Miss Universe pageant on January 30. 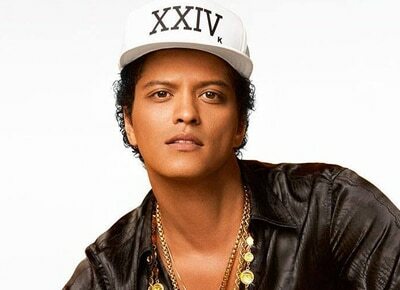 Department of Tourism Undersecretary Kat de Castro shut rumors down when she revealed in an interview with DZMM that Bruno Mars won’t be performing at the coronation night of the 65th Miss Universe pageant on January 30. “Meron siyang world tour pero kung si Bruno Mars lang, he really wanted to come. It’s just that his agent kept on reminding him that he has to have proper rehearsals for the world tour,” she said. Last November, when DOT Secretary Wanda Teo said the performer would be a famous artist with Filipino roots, netizens immediately assumed it would be Bruno Mars. However, Kat clarified that there will still other international artists who will perform on the show. “International standards tayo. Hindi pa puwede [sabihin] kasi gusto ng Miss Universe sila [ang mag-a-annouce]. I can assure you naman this is a show that not only the Filipinos will enjoy but even the whole world kasi 'yung mga darating na performers, kumbaga kilalang kilala yung mga kanta nila,” she said. “We are expecting one group and one singer,” she added. She also said that the Miss Universe Organization will announce the performers and judges after the candidates attend the courtesy call to President Rodrigo Duterte on January 23.